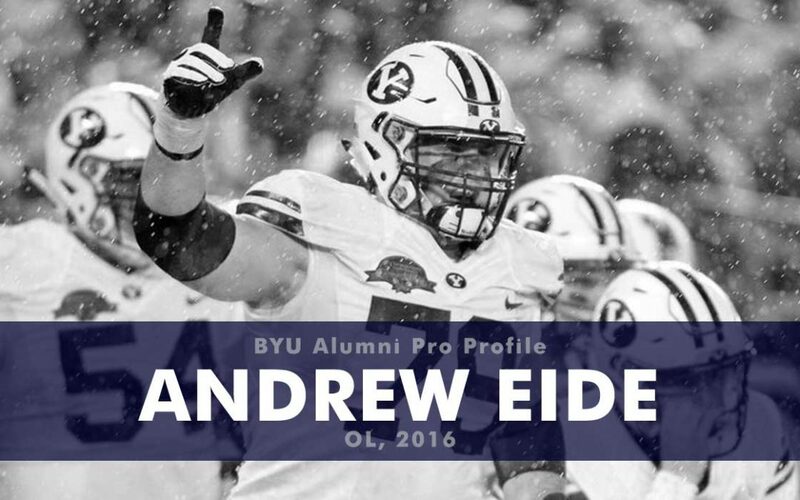 Eide served an LDS mission in Brazil and then played on the defensive and offensive lines for Southern Utah University, playing in 25 games and recording 44 tackles with 10 tackles for loss. He was an All-Big Sky honorable mention in 2015. As a graduate transfer at BYU he started all 13 games at left tackle. Eide had a standout pro day where he recorded 33 reps at 225 lbs. on the bench press and had a vertical leap of 30.5 inches, which would have ranked no. 3 among o-lineman at the NFL combine. Despite going undrafted in the 2017 NFL draft, Eide had the opportunity to try-out for both the 49ers and the Colts, but was not added to either roster.